Definition at line 34 of file cjson.c. Referenced by encode_dict(), encode_list(), and encode_tuple(). Definition at line 32 of file cjson.c. Definition at line 108 of file cjson.c. Definition at line 78 of file cjson.c. 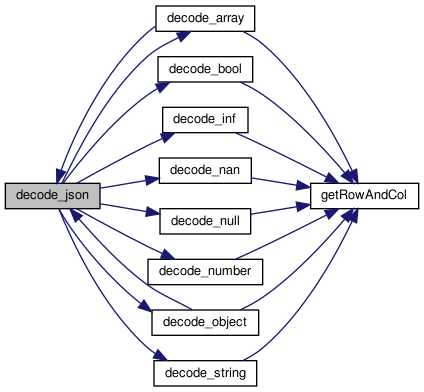 Referenced by decode_array(), decode_number(), decode_object(), decode_string(), and JSON_decode(). Definition at line 81 of file cjson.c. Definition at line 1335 of file cjson.c. Definition at line 85 of file cjson.c. Definition at line 89 of file cjson.c. Definition at line 69 of file cjson.c. Referenced by encode_string(), and encode_unicode(). Definition at line 70 of file cjson.c. Definition at line 23 of file cjson.c. Referenced by decode_number(), and encode_string(). Definition at line 29 of file cjson.c. Definition at line 35 of file cjson.c. Definition at line 22 of file cjson.c. 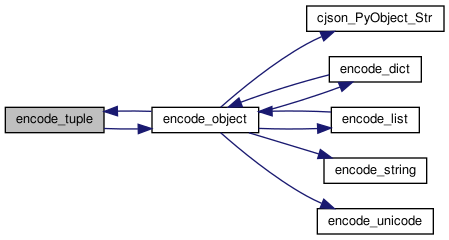 Referenced by encode_dict(), and encode_object(). Definition at line 30 of file cjson.c. Definition at line 31 of file cjson.c. Definition at line 33 of file cjson.c. Definition at line 27 of file cjson.c. 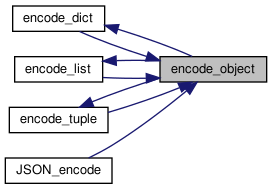 Referenced by encode_dict(), encode_list(), encode_object(), and encode_tuple(). Definition at line 26 of file cjson.c. Referenced by decode_number(), decode_string(), and encode_string(). Definition at line 24 of file cjson.c. Definition at line 28 of file cjson.c. Definition at line 20 of file cjson.c. Definition at line 92 of file cjson.c. Referenced by decode_array(), decode_json(), decode_object(), and JSON_decode(). Definition at line 72 of file cjson.c. 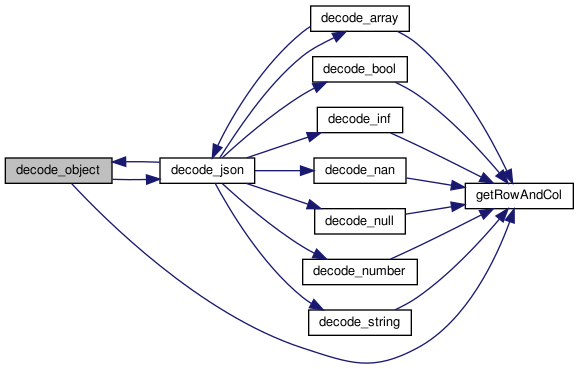 Referenced by decode_array(), decode_bool(), decode_inf(), decode_nan(), decode_null(), decode_number(), decode_object(), decode_string(), and JSON_decode(). Definition at line 77 of file cjson.c. Definition at line 67 of file cjson.c. Definition at line 385 of file cjson.c. References decode_json(), False, getRowAndCol(), JSON_DecodeError, JSONData::ptr, skipSpaces, SSIZE_T_F, JSONData::str, and True. Definition at line 142 of file cjson.c. References JSONData::end, getRowAndCol(), JSON_DecodeError, JSONData::ptr, SSIZE_T_F, and JSONData::str. Definition at line 266 of file cjson.c. References JSONData::end, getRowAndCol(), INFINITY, JSON_DecodeError, JSONData::ptr, SSIZE_T_F, and JSONData::str. Definition at line 544 of file cjson.c. 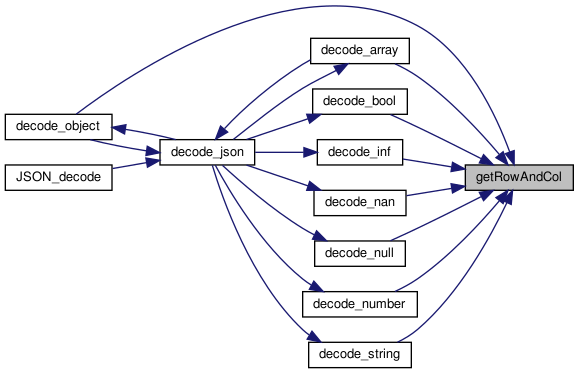 References decode_array(), decode_bool(), decode_inf(), decode_nan(), decode_null(), decode_number(), decode_object(), decode_string(), JSON_DecodeError, JSONData::ptr, and skipSpaces. Referenced by decode_array(), decode_object(), and JSON_decode(). Definition at line 293 of file cjson.c. References JSONData::end, getRowAndCol(), JSON_DecodeError, NAN, JSONData::ptr, SSIZE_T_F, and JSONData::str. Definition at line 124 of file cjson.c. Definition at line 311 of file cjson.c. References False, getRowAndCol(), JSON_DecodeError, JSONData::ptr, PyBytes_AS_STRING, PyBytes_FromStringAndSize, SSIZE_T_F, JSONData::str, and True. Definition at line 449 of file cjson.c. Definition at line 164 of file cjson.c. References JSONData::all_unicode, False, getRowAndCol(), JSON_DecodeError, JSONData::ptr, PyBytes_AsString, PyBytes_DecodeEscape, PyBytes_FromStringAndSize, SSIZE_T_F, JSONData::str, and True. Definition at line 1107 of file cjson.c. References _PyBytes_Join, encode_object(), JSON_EncodeError, PyBytes_Check, PyBytes_Concat, PyBytes_ConcatAndDel, and PyBytes_FromString. Definition at line 1028 of file cjson.c. References _PyBytes_Join, encode_object(), JSON_EncodeError, Py_SIZE, PyBytes_ConcatAndDel, and PyBytes_FromString. Definition at line 1195 of file cjson.c. 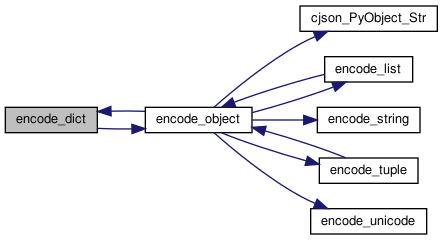 References cjson_PyObject_Str, encode_dict(), encode_list(), encode_string(), encode_tuple(), encode_unicode(), JSON_EncodeError, Py_IS_NAN, PyBytes_Check, and PyBytes_FromString. Referenced by encode_dict(), encode_list(), encode_tuple(), and JSON_encode(). Definition at line 622 of file cjson.c. References _PyBytes_Resize, encode_unicode(), Py_SIZE, PY_SSIZE_T_MAX, PyBytes_AS_STRING, PyBytes_FromStringAndSize, and PyBytesObject. Definition at line 965 of file cjson.c. References _PyBytes_Join, encode_object(), Py_SIZE, PyBytes_ConcatAndDel, and PyBytes_FromString. Definition at line 822 of file cjson.c. Referenced by encode_object(), and encode_string(). Definition at line 113 of file cjson.c. 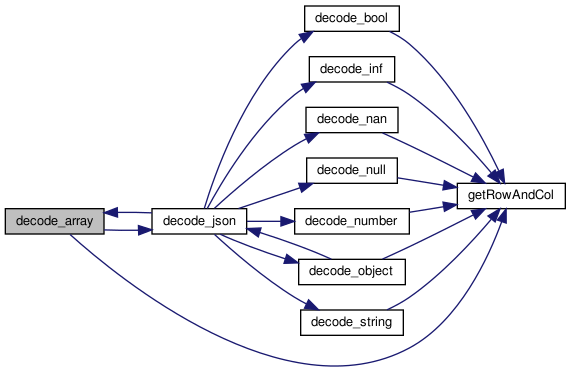 Referenced by decode_array(), decode_bool(), decode_inf(), decode_nan(), decode_null(), decode_number(), decode_object(), and decode_string(). Definition at line 1337 of file cjson.c. References cjson_methods, JSON_DecodeError, JSON_EncodeError, JSON_Error, and MODULE_VERSION. Definition at line 1249 of file cjson.c. References JSONData::all_unicode, decode_json(), JSONData::end, False, JSON_DecodeError, JSONData::ptr, PyBytes_AsStringAndSize, skipSpaces, SSIZE_T_F, JSONData::str, and True. Definition at line 1243 of file cjson.c. 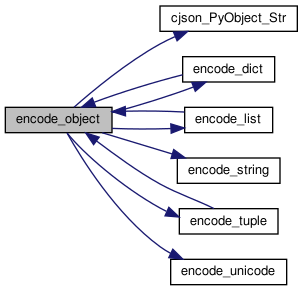 PyDoc_STR("decode(string, all_unicode=False) -> parse the JSON representation into\n"
"python objects. The optional argument `all_unicode', specifies how to\n"
"convert the strings in the JSON representation into python objects.\n"
"If it is False (default on Python 2.x), it will return strings/bytes\n"
"everywhere possible and unicode objects only where necessary, else\n"
"it will return unicode objects everywhere (this is slower, but default\n"
Definition at line 1306 of file cjson.c. Referenced by initcjson(), and initcjson_shared(). Definition at line 64 of file cjson.c. 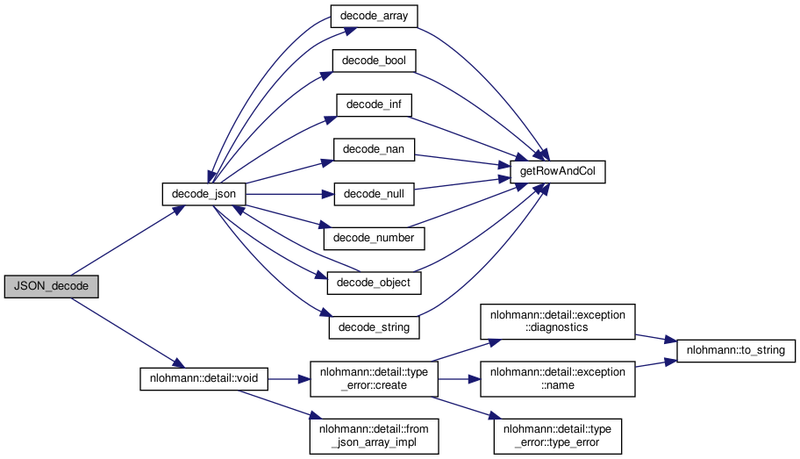 Referenced by decode_array(), decode_bool(), decode_inf(), decode_json(), decode_nan(), decode_null(), decode_number(), decode_object(), decode_string(), initcjson_shared(), and JSON_decode(). Definition at line 63 of file cjson.c. 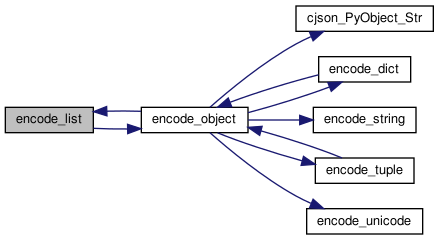 Referenced by encode_dict(), encode_list(), encode_object(), and initcjson_shared(). Definition at line 62 of file cjson.c.